MOUNT GILEAD — The Mount Gilead Post of the Highway Patrol is investigating a fatal crash where a pedestrian was struck and killed by a passing vehicle. The fatal crash occurred on Wednesday at approximately 5:36 a.m. on State Route 61 just north of Interstate-71, in Bennington Township. Amanda E. Cumpton, age 34, of Columbus, was walking south on SR 61 , on the southbound side of SR 61, when she was struck by a southbound vehicle. The driver of the vehicle left the scene and was not identified. Cumpton was transported byMorrow County EMS to Morrow County Hospital where she was pronounced deceased. She had her teenage son walking with her at the time of the crash and he was not injured. At this time the only information on the hit-skip vehicle is a dark colored SUV or pick-up truck, possibly a Chevrolet. The vehicle will be missing the passenger side mirror and damage to the passenger side front fender. 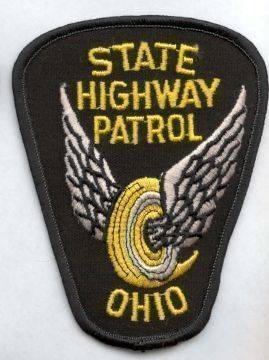 The Ohio State Highway Patrol was assisted by the Morrow County Sheriff’s Office and Morrow County EMS. The crash remains under investigation and as further leads are developed on the hit-skip vehicle they will be released. Anyone with information about the crash is asked to contact the Mount Gilead Highway Patrol Post at 740-363-1392 or Trooper Chad Lyons at 614-706-8091.